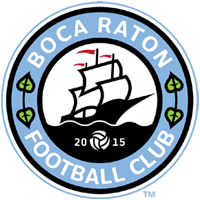 Earlier this month, Boca Raton Football Club found out who the team standing in their way of a berth in the 2016 Lamar Hunt U.S. Open Cup. Aromas Café FC, of the SOCA Adult League, will play Boca Raton FC on April 3 in Charlottesville, Virginia in the final round of the 2016 Lamar Hunt US Open Cup qualifying tournament. The remaining 14 teams in the open division competition, which began with teams across the country from the United States Adult Soccer Association (USASA), US Club Soccer and the United States Specialty Sports Association (USSSA), will be narrowed down to eight after six games and two byes were announced. The six matchups were made purely on a regional basis to minimize travel with the two teams who were the furthest away from the nearest potential opponent receiving byes. Those two teams were US Club Soccer’s San Francisco City FC and the Boulder, Colo.-based Harpo’s FC from the USSSA. Those two teams have now qualified for the 103rd edition of the US Open Cup that is scheduled to begin around May 11. Both San Francisco City and Harpo’s FC will be making their second consecutive appearance in the tournament. The winners of the six games that are scheduled to take place the weekend of April 2-3, will join those two teams in the US Open Cup. Boca Raton FC had to defeat a pair of fellow APSL teams to advance to the final round. After a 2-1 win over Real Miami CF on Oct. 25, it took penalty kicks to get past Uruguay Kendall on Nov. 22. After a 1-1 draw through 120 minutes, the match was decided from the penalty spot and Boca Raton was victorious by a score of 5-4. Aromas Cafe FC had a little more variety in their path to Round 3, but they were able to pick up a pair of 3-1 wins at home to advance. First, they hosted the Tartan Devils Oak Avalon from the Greater Pittsburgh Soccer League on Oct. 17, followed by another home win over three-time US Open Cup qualifying Dulles Sportsplex Aegean Hawks FC, who are based in Maryland. Aromas Café FC has some recent success as the team has toured regionally playing friendlies and participating in tournaments where they have consistently been the Champions or finalist. Boca Raton FC will have a myriad of friendlies in preparation to the big match versus Aroma Café FC, which starts on Saturday, January 23 with a matchup versus NASL-side Miami FC at St. Thomas University.